Plasticade has a great video describing their Gemstone Vertical Panel which we wanted to share. These panels are among the best designed in the industry with faceted sidewalls which allow the panel to snap back into place if it’s run over. They also have a recessed sheeting panel to protect the sheeting and help it last longer. Additional reinforcement in the base adds extra support to resist splitting and tearing. In addition to their use for channeling traffic, these vertical panels are very useful in parking lot applications. They come in orange and white colors to fit state requirements and the bases are made out of recycled rubber to help make it more environmentally friendly. 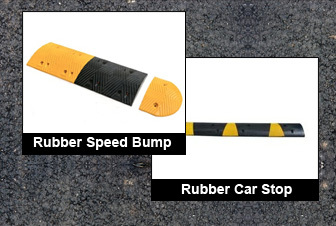 It’s a great, durable product all around and we highly recommend them for your parking lot and traffic control needs. 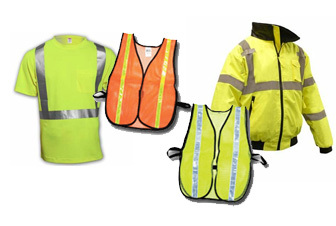 Traffic control devices are signs, signals or other marking devices which are used to regulate and guide traffic. They warn both cars and pedestrians of possible dangers on the street or highway. 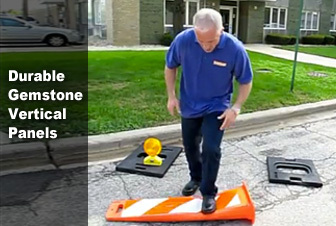 These devices are paramount for promoting highway safety and the efficient flow of traffic through construction or other dense traffic zones. 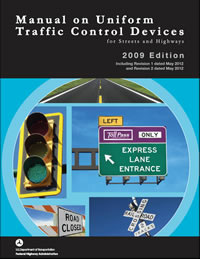 In this manual you will find best practice standards, traffic control marking, and requirements for traffic control equipment from regulatory signs and traffic barricades to safety fences and school crossing signs. There is very detailed information on colors, sizes and other requirements which you will find very useful. 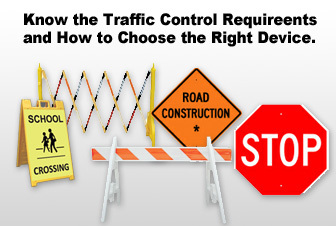 Of course, if you have more questions, we invite you to call our staff and we can help you choose the appropriate traffic control devices for your project. You can call us toll free at (877) 966-1018.